It’s no coincidence that modular construction is becoming increasingly accepted as a viable building method. A recent survey of 800 Australian design and contracting professionals confirms that modular techniques result in shorter project schedules, lower budgets, and reduced construction waste. Traditional construction presents multiple risks which are minimized or eliminated entirely by the modular concept, including deliverability, safety, supply chain inefficiencies, and productivity. Construction projects for the healthcare industry are especially suited for modular construction due to the importance of shrinking budgets, green design objectives, and ever-increasing demand for space to accommodate a growing patient population. How does modular construction benefit healthcare projects? Due to the simultaneous progress of onsite construction and offsite modular prefabrication, projects can be completed as much as 50 percent faster. Since as much as 80 percent of the construction activity can be moved offsite, the impact of site disruptions and bad weather is minimized, thus ensuring that timelines will be met. In fact, in a project for Miami Valley Hospital in Dayton, Ohio, factory prefabrication was so efficient and fast that the modular units were ready for installation before the contractors were ready for them in the field and a second fabrication site had to be leased! This speed can have direct, positive impacts on communities after disasters strike: St. John’s Regional Medical Center in Joplin, Missouri, was destroyed by a tornado on May 22, 2011. A new 150,000 square foot facility, Mercy Hospital Joplin, was built in only 8.5 months using modular design and construction! Less is more. Since modular components are moved offsite, onsite labor requirements are much lower. Minimal onsite labor requirements combined with shorter build times result in significant savings in labor costs. Fewer materials, fewer tools, and fewer people equate to more savings in time and money. Modular components manufactured in controlled, specialized environments ensures quality and consistency. For example, dozens of electrical outlets, gas fixtures, and vacuum lines were required for headwalls in each of the patient rooms at the Texas Health Harris Methodist Hospital in Fort Worth, Texas. Instead of building each component onsite in individual rooms where various trades would get in the way of each other, they were fabricated off-site. Onsite waste is minimized because of the consistency and accuracy of factory manufactured components. This reduces cost of cleanup and hauling, uses less landfill, and complies with socially and environmentally responsible “green” objectives. Green achievements like this entitle everyone involved with the project to claim, and rightly so, their environmentally-conscientious corporate citizenship. Good modular design and construction can actually improve patient care. Take, for example, the first U.S. hospital to extensively us modular concepts, Miami Valley Hospital Heart and Orthopedic Center’s bed tower. Modular units were a perfect solution for construction of the repetitive design which incorporated 178 identical rooms on 5 identical floors. 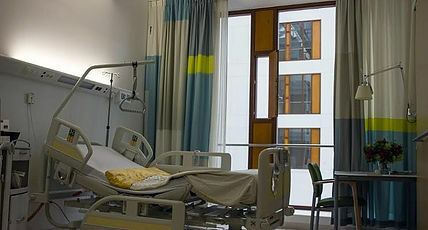 This design allowed functions to shift from floor to floor which reduced the need for patient transfers. More patients could be accommodated because each room was designed to support a broad range of patient types and requirements, making it easier to match patients with suitable rooms. Staff members quickly locate supplies and equipment due to the standardized component design. Fewer patient transfers, room assignment flexibility, and faster access to supplies and equipment all add up to improved patient care at lower costs. Vertex BD from Vertex Systems is a flexible building design tool especially suited to modular construction applications, automating the creation of architectural drawing sets, panel fabrication drawings, material reports, manufacturing data, and architectural visualizations, all from one building model.